Following the successful reboot of Lara Croft in the video game world, there has been a fresh effort to do the same thing in the movie world. A couple weeks ago it came out that one of the young actresses being considered for the new Tomb Raider movie was the star of Star Wars: The Force Awakens, Daisy Ridley. While Ridley is now saying that there have been conversations about her taking on the iconic role, it looks like the odds of her actually taking on the part may not be quite that great. As generally you need a script before you can make a movie. Daisy Ridley was attending the Empire Awards in London over the weekend when she spoke with The Hollywood Reporter. It was there that Ridley admitted that as of right now there is no script for a new Tomb Raider movie. As such, she hasn’t been offered the role yet. However, what the actress does say certainly implies that if the role is offered to her, she may very well take it. 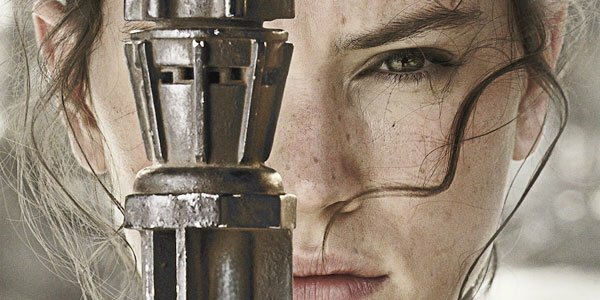 While one of the toughest obstacles to getting Daisy Ridley on board a Tomb Raider film would be the scheduling, the actress says that she could make the time in between her Star Wars responsibilities and is looking to fill up her schedule. Initial reports are that Ridley is one of several names that the studio is interested in, though she’s the only one who’s name has come out at this point. This makes it difficult to say where on the list Ridley is. She certainly makes it sound like she would take the job if it were offered, which seems to imply that either she’s not the first choice, or that the studio isn’t ready to offer the role yet for some other reason. Having a script, or, at least, an idea for one is probably a good first step, but it wouldn’t be the first time that casting decisions were made based solely on an idea. For what it’s worth, we aren’t the only ones who think Daisy Ridley as Lara Croft is a great idea. Her Star Wars: The Force Awakens co-star, John Boyega, apparently texted her while he was playing one of the new games in order to tell her that she should play the part. The expectation is that the new film will take much inspiration from the newest games, which make Lara a significantly more relatable character that the original series. The role was first played in two films by Angelina Jolie. It may be some time before a decision is made on a new Lara Croft. Who would you like to see take on the role?